With the entry of Mukesh Ambani led telco Reliance Jio in the telecom sector, there has been a massive tariff war going between the telecom operators for subscriber base and revenue share. To achieve great figures, the companies have launched attractive plans with lots of add-ons thrown into the mixture so that they don’t lag behind the times. The war which started in the prepaid segment can now be seen extending into postpaid and broadband sector as well. With so many plans now closely resembling in pricing and benefits, the telcos are finding other areas where they can capitalise, thus the postpaid segment. A few years ago, postpaid plans were considered to be costly and were mostly aimed at business-centric customers because of the cost-benefit which these plans shipped. The benefit of having services at the tip of your hands and the requirement of paying a little bit more at the end of the month, if need be, was something only high spenders could afford before this new era; that is why postpaid plans remained limited to a specific group of people. However, with the new pricing and a revolution going on in the industry, things might change very soon. Below we have listed some postpaid plans available in all circles right now which might change your thoughts about switching from prepaid. Airtel’s portfolio of postpaid offerings starts from Rs 399. In the basic plan by Airtel, the telco ships 20GB 3G/4G data with unlimited local, STD and roaming calls. There are also additional benefits like Wynk music subscription. Airtel also offers plans which cost Rs 499, Rs 699, Rs 799 and Rs 1199 which offer 75GB, 90GB, 100GB and 120GB of data respectively. Subscribers opting for Rs 699 plan and above are also eligible for free add-on connection which is a massive plus on Airtel plans. There are other benefits like Airtel TV, free handset protection and more on select plans. Vodafone also starts its postpaid plans from Rs 399. The RED postpaid plans by Vodafone are also similar to Airtel’s. Recently the telco has increased the data benefit on this plans by 100%, meaning that the RED basic postpaid plan which used to ship 20B data now comes with 40GB data. Similarly, Vodafone offers Rs 499, Rs 1299, Rs 1999 and Rs 2,999 postpaid plans which provide 75GB (up from 40GB), 100GB, 200GB and 300GB of data per month, along with data rollover option. Apart from unlimited calling, these plans offer added benefits like Vodafone Play, Amazon Prime subscription, Mobile Shield, Netflix and Red Hot Deals. Idea Cellular also offers eight postpaid plans to its customers which have been named as Nirvana plans, and they come with data and unlimited calling. The entry-level plan starts at Rs 389 and offers 20GB data per month, 300SMS per month and unlimited calling. The Rs 499 plan provides 40GB data; Rs 649 plan provides 50GB data, Rs 999 plan offers 80GB data, Rs 1299 plan provides 100GB data, Rs 1699 plan provides 150GB data, Rs 1999 plan provides 200GB data, and the Nirvana Rs 2999 plan offers 300GB data per month. All the plans come with data rollover facility and added benefits of a subscription to Idea apps like IdeaMusic. Reliance Jio has a single postpaid offering under its umbrella right now which is the Rs 199 ‘zero-touch’ postpaid plan. The plan offers 25GB data per month, with unlimited calling. All the services come pre-activated in this plan, including international calling. The plan bills customers at Rs 2-2-2 scheme or Rs 10-10-10 scheme for international services wherein customers will have to pay Rs 2 per SMS, Rs 2 per minute and Rs 2 per MB while using Jio services in specific countries. Similarly, in other countries, people will be billed at Rs 10-10-10 scheme. The above-mentioned postpaid plans do not only offer basic calling and data facilities but to lure the customers they also come with many added benefits. Vodafone offers its customers in the 18-24 age group to buy Amazon Prime Membership at Rs 499 instead of the actual cost of Rs 999. Also, Vodafone offers free Netflix membership to its customers of Vodafone RED 1299, RED 1699, RED 1999, RED 2999, and RED 3999 with the membership ranging from 2 months to 12 months straight depending on the terms of the offer. Airtel also offers Amazon Prime membership to its customers opting for postpaid plans which are higher than Rs 499. 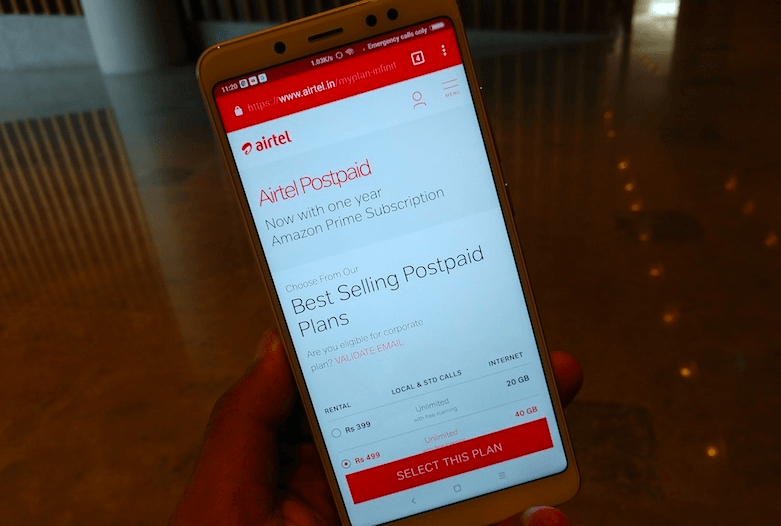 Also, the telco gives Airtel TV subscription, Wynk music subscription, Handset protection and add-on connections as extra benefits on its postpaid plans. Keeping all these things in mind, I feel that a postpaid plan depending on its data services, and other added benefits might be a nice option for someone who has a lot of travel and needs these services uninterrupted. Given that I use 2GB of data on an average daily, prepaid plans from Reliance Jio seem like the obvious choice. However, given the benefits which these postpaid plans offer if I were to shed more bucks a postpaid plan would be the more viable option. For example, Airtel and Vodafone are offering Amazon Prime membership worth Rs 999 even with the basic plans (Vodafone-Rs 399, Airtel- Rs 499). Reliance Jio and Idea Cellular are not offering any such additional benefits, which makes their postpaid plans hard to recommend. What should a postpaid plan offer according to you? Let us know by commenting below. I don’t understand why people use postpaid.. do they feel ashamed to recharge at shop or do they have lot of money to waste or do they think that using postpaid and paying bills are some standards. If u r getting more benefits in less money then why need to opt for postpaid connection. and nowadays everything has changed, u don’t even need to go to the shop for recharge . u can simply recharge by online..We indians will never change our mentality.. Sad but true. i use postpaid because i often go to jammu.Prepaid not working there. Thanks to airtel for plan with 120gb / month data at 199 inr with 500 gb roll over. Tell an open market plan and install 4G sites. 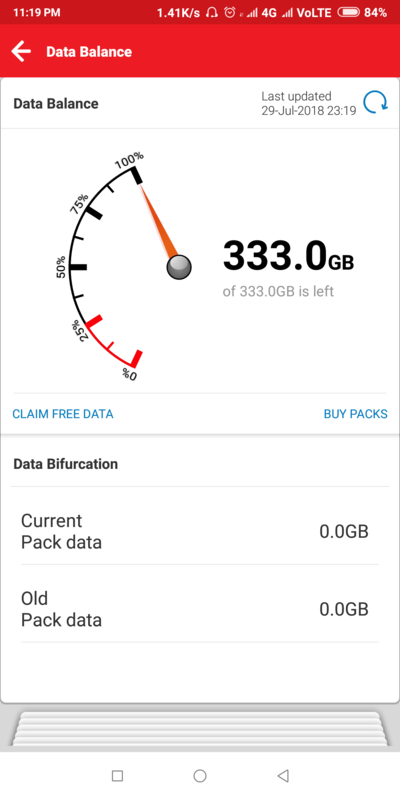 Will you able to use such amount of data on Xiaomi device which is non CA device? Koi Jio ke Jake batao ye offer ….May be they will offer 200 gb ..lol. What is base plan for cug IBM?